Back in 2011, a small studio by the gracious name of Stunlock Studios created a game called Bloodline Champions. With the game, the studio set out to do one thing: create a MOBA-styled game focused more on fast-paced action and no “farming”. Bloodline Champions succeed in a lot of areas in that regard. The game opted for a more action-oriented control scheme like Smite where your character was controlled directly with the traditional first-person shooter setup. You aimed with the mouse and every skill in the game had to be carefully aimed – even support and healing abilities! There were no minions to speak of and no gold or any kind of currency; it was just you, your team, and the enemy team in an all-out brawl. Bloodline Champions was remembered for taking the sluggish aspects of MOBAs out and creating a fast and frantic experience. In 2016, the same studio started a new project which was essentially the spiritual successor to Bloodline Champions. 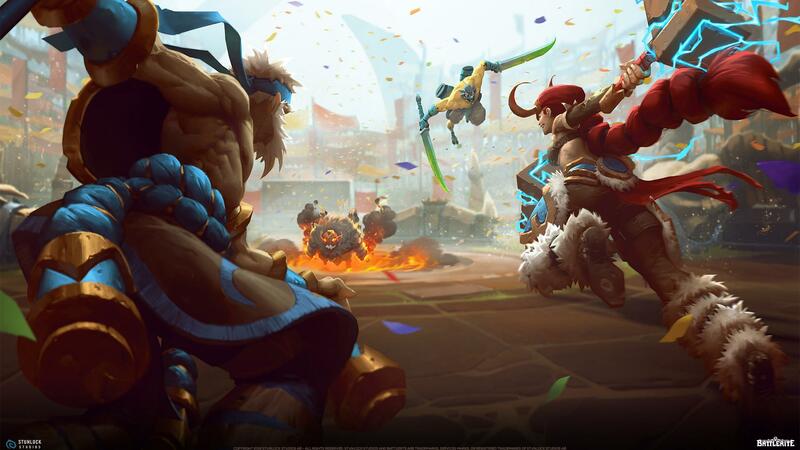 Titled Battlerite, this new game featured the same gameplay and mechanics that made Bloodline Champions so memorable but with a fresh new coat of paint. The game entered early access in 2016 and went through numerous changes. Initially, the cost of entry was $20 to play the early access version of the game, but now the game has left early access! Officially launching today, Battlerite is now complete free-to-play on Steam. You can download and try the game here. Battlerite features the typical MOBA pay structure where a majority of the heroes won’t be available right off the bat. Instead, a free hero rotation means that you get to try out new heroes every week, and completing matches earns you in-game currency to permanently unlock your favorite heroes. Of course, the gameplay remains largely the same in the sense that you’ll still be frantically dodging spells and skills while dishing out your own and securing victory. Give it a shot – it’s free!